Most Planets are Barren and have to be Terrarformed? 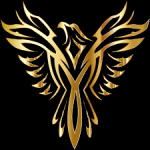 join now the phoenix confederacy wants you JOIN HERE FOR HONOR if you want to talk join this link https://discord.gg/7SAAPzA to join in our alliance chat this link https://discord.gg/xw8maXg but if you want to join our faction click this link https://community.dualthegame.com/organization/the-phoenix-confedericy About we defend our home planet and kill all of those who think they can take our home-world we are the phoenix children if we die we are reborn and rise from the ashes and destroy our enemies. we seek to defend those who are to weak to defend themselves and we make peace if we can but will destroy if we are forced to. we hope to grow and defend those who cant defend themselves and become one of the big corporations,our new planet will be named the eternal flame TO ALL WHO WISH TO BE REBORN JOIN US AND BECOME ONE OF US OUR LORE is that we were forced out of our home-world due to the human ark ships from earth we were forced to leave due to there laws and government and slavery. but as the last phoenix came on bored one of there transport ships he vowed to return one day and take back what is rightful ours and he became our amazing leader who has Ben trying to make our empire great but he died and appointed his greatest general and asked him to make our civilization great again and so we call to all who wish to be reborn and ask them to help us grow and be great again.